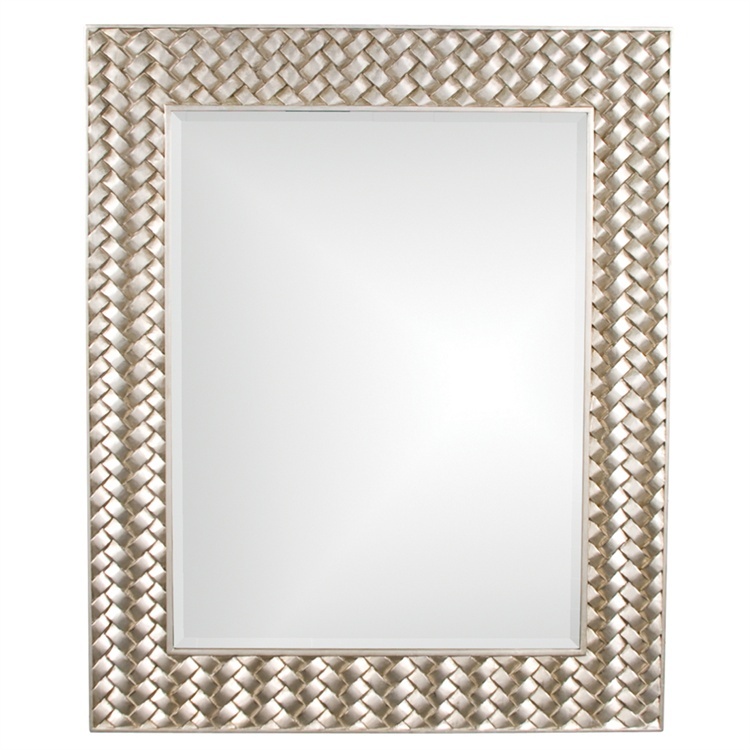 The Canton Mirror is a Contemporary piece featuring a rectangular frame. It is characterized with a texture that resembles braided rows all around the frame. It is finished in a brilliant silver leaf with overtones of gold. The Canton Mirror is a perfect accent piece for any design. Hang either a horizontal or vertical orientation! The mirrored glass on this piece has a bevel adding to its beauty and style. Customizable for larger orders.